At Accel Construction, we specialize in Design/Build renovations. With a combined 20+ years in the industry, our goals are to provide you with a top quality renovation, add value to your home and offer second to none customer service. This begins at the project consultation, continues throughout the renovation and carries on long after the project is completed. Our reputation is very important to us with the majority of our work coming from referrals and repeat clients. It is imperative that we work hard to offer the best services possible. We feel that our customer reviews reflect this. We understand that your home is likely one of the biggest investments that you will make in your lifetime. So renovating and caring for it is of utmost importance. 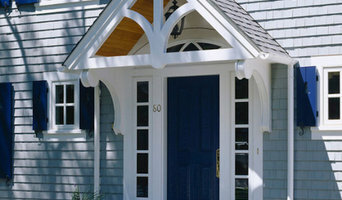 Accel specializes specifically in design/build renovations. Working with us allows the home owner to have the peace of mind and ability to enjoy their investment to its maximum potential. What is the design/build process? - First, we meet with the client and ensure that we are both a good fit to work together. After going through the potential renovation together, Accel provides a no hassle free estimate that the client can accept or use to compare to other estimates. From there we begin the design package where our clients work hand in hand with one of our top rated designers to put together their dream renovation. Once the design phase is complete, we provide the client with a quoted price for the project so that they know exactly what they are paying for before any renovation work has commenced. Once the project has been discussed and accepted, Accel then goes to work and the fun begins! Watch as your old space gets turned into the dream you were hoping for! Now that the renovation is complete and your space looks fantastic, its time to enjoy! At Accel, the experience doesn't end just there though, you can rest easy knowing that we stand behind our work and offer an industry leading 2 year warranty on all of our labour. Terris Lightfoot Contracting is a fully accredited general contracting firm engaged in custom residential and commercial renovation, new construction and envelope-restoration projects. 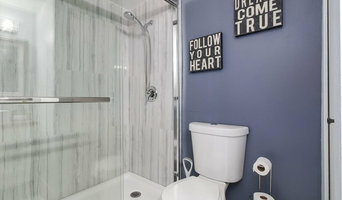 Vancouver’s top leading Remodeling General Contractors. 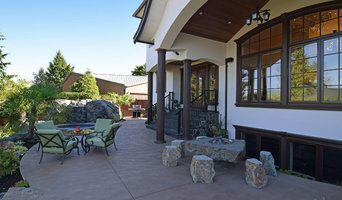 Our team of expert designers and trades employee specializes in complete Kitchen & Bathroom Remodeling, Additions, Extensive Patio, Deck and Exterior Renovation as well as Commercial Renovation and build new construction. General, or construction contractors, are often known as project managers. They oversee the entire remodeling or new home construction project and facilitate all day-to-day tasks that move it toward completion. A New Westminster general building contractor will work with your architect to review plan as you build a house and ensure everything is in place before work is started as well as arrange for permits and necessary inspections. 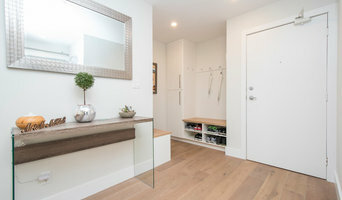 While good local home improvement contractors in New Westminster will have the skills to handle certain tasks onsite, such as carpentry, he or she is also responsible for hiring subcontractors for the majority of jobs, such as electrical work, painting or plumbing. In addition, the general contractor should be on-site regularly to inspect the progress and resolve issues. Here are some related professionals and vendors to complement the work of general contractors: Architects & Building Designers, Interior Designers & Decorators, Landscape Architects & Landscape Designers, Kitchen & Bath Designers, Specialty Contractors. Home remodeling contractors are a must for successful completion of a renovation. Because of this, it's essential that you do your homework before deciding on the right general contractor in New Westminster as you remodel or build a house. Inspect bids carefully. Was it ready when the contractor promised it? Was the bid for building a home unusually high or low? Each of these things can be very telling: A late bid may reflect timing standards, and an off-the-mark bid could be code for a pricey premium or a deliberate underbid to score the remodeling job. You should call references, carefully read reviews and visit completed projects in New Westminster, BC to see if they’re what you expect for your job. Once you do secure your local New Westminster contractors, read the contract very carefully to be sure everyone is on the same page. 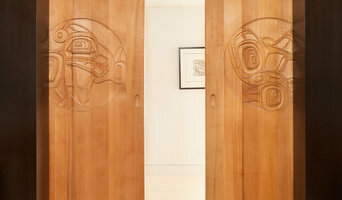 Find a New Westminster contractor on Houzz. Narrow your search in the Professionals section of the website to New Westminster, BC home contractors. You can also search for photos in New Westminster, BC and contact the New Westminster general contractor who worked on the project.